I love the playgrounds of The Hague. Each one has its own special theme. There’s the “sand playground” next to the lake, the “fire truck playground” next to the supermarket and last weekend we discovered the “adventure playground” – conveniently located just a short walk from the main train station. Having fun at the Robin Hood adventure playground, near Central Station in The Hague. The official name of this playground is the Robin Hood Playground (Speelbos Robin Hood). It’s located just inside the Haagse Bos, on the Zuiderpark walking path — a 10-15 minute walk from central station (or a 5 minute bike ride), depending on how quickly or slowly you’re meandering. We spent a happy hour jumping between tree stumps, running over the bridges and flying through the forest on the zip line. Next time we’ll bring a picnic lunch and stay for a few hours. Next to the playground is a large, grassy field with picnic tables. 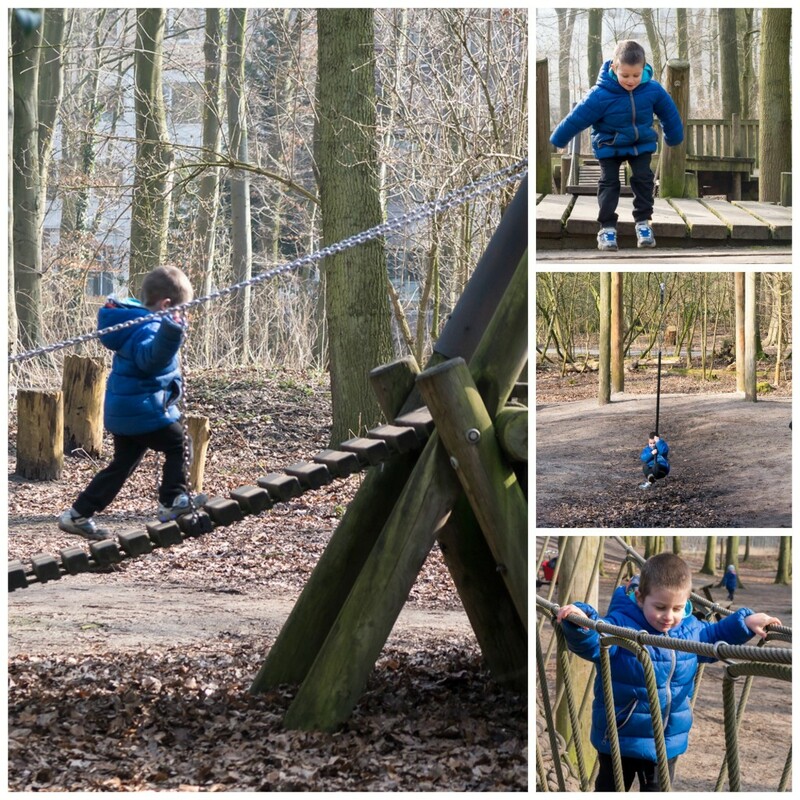 Where to find it: The playground is in the Haagse Bos. You can access it from paths running off the Bezuidenhoutseweg or the Boslaan. Dogs aren’t allowed.